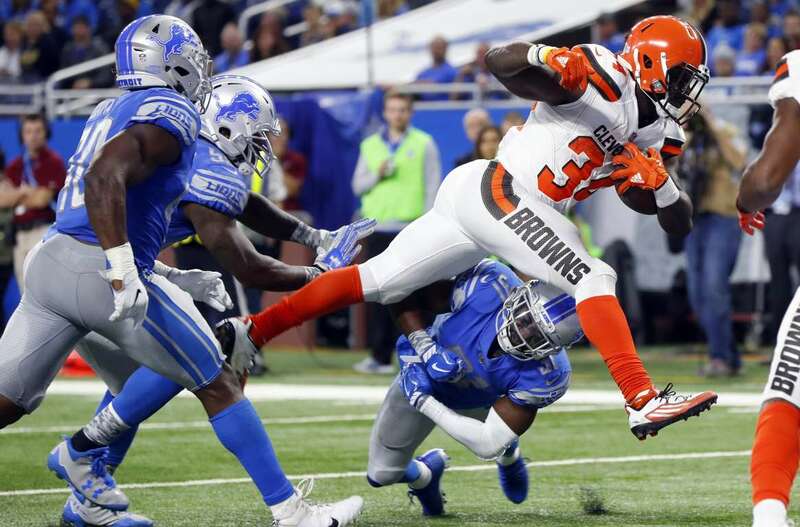 Browns running back Isaiah Crowellleaps over Lions defensive back D.J. Hayden for a 6-yard touchdown run on Sunday in Detroit. The Lions won 38-24.